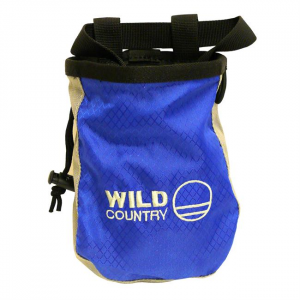 A zip pouch on this new larger bag from Wild Country gives room for a topo, power bar, keys, and other bits and pieces for a long day out. Comes equipped with a brush loop and belt. 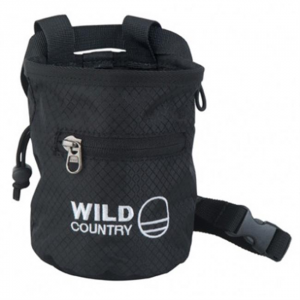 This stylish powder pouch from Wild Country sports an ergonomic new shape and handy brush loop. Belt included. Wild Country anodized Rockcentrics are gently curved hex shaped pieces, convex on one face and concave on the opposing face, that offer secure, multi-faceted placement options thanks to having a dyneema sling rather than a wire cable. Wild Country's Helium 2 Carabiner 5 Pack sets are a great way of putting a rack together, or replacing part of your rack and saving a few dollars in the process. With so much choice around, Wild Country offers the Helium 2 Quickdraw 5 Pack to give you simple options and the ability to build a rack with a couple of purchases. With hot forged side plates and streamlined shape, the Ropeman 1 is lighter than ever. Its clever aluminum cam design works with rope diameters bigger than 10mm and holds securely in a variety of conditions from hot summer sun to cold mountain ice. A strong, all-around choice for belaying and beyond, the adaptable, full-size Wild Country Ascent HMS locking carabiner offers ample internal with plenty of room for set ups.